Stephen Savage is the author and illustrator of nine books for children, including the New York Times bestselling picture book Polar Bear Night, written by Lauren Thompson. He is the creator of the Where’s Walrus books, Supertruck, and Little Tug. 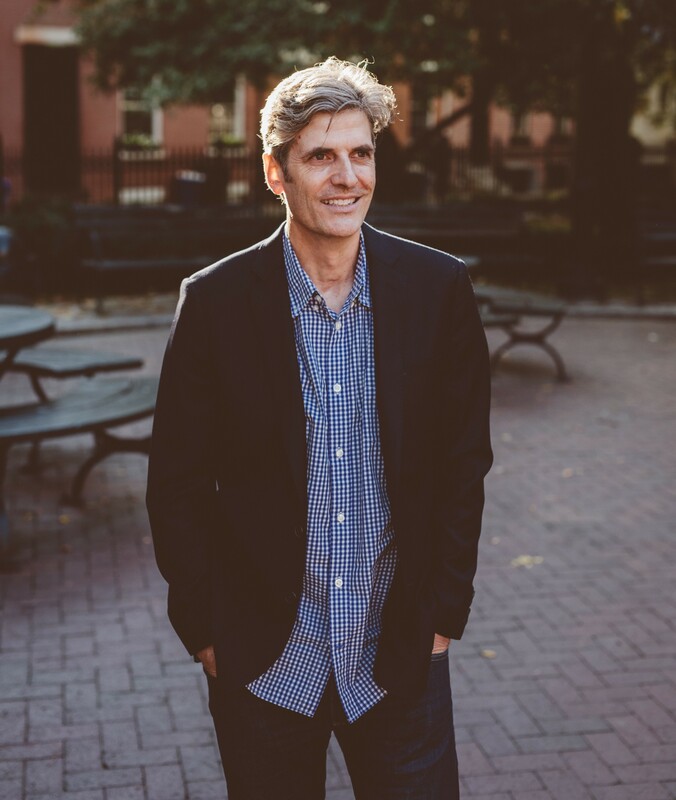 Steve is the recipient of a New York Times Best Illustrated Book Award, a Sendak Fellowship, an ILA Primary Fiction Award, and a Geisel Honor Award. His editorial illustrations have appeared in dozens of major newspapers and magazines including The New York Times, The Atlantic, The Washington Post, and The Wall Street Journal. He teaches at the School of Visual Arts in Manhattan and lives in Brooklyn with his wife and their daughter. Readers are probably familiar with stories about toys coming to life when night falls. In this wordless picture book, Savage (The Babysitter from Another Planet) imagines that the same is true for symbol signs, those bright orange and yellow street signs that feature black silhouetted figures. As the moon rises in the sky—the settings, bathed in lovely muted nighttime shades, are as stylized as the protagonists—the symbol characters leap off their respective signs and indulge in a little free play (a deer nibbles at low-hanging leaves; a construction worker builds a sand castle). Then all the symbols gather at the top of a hill, take the yellow circle down from the traffic light sign, and with a little collaborative engineering, launch it into the sky to bring on another day. Savage’s aesthetic and mastery of color are tailor-made for this inventive story, imbuing everyday objects with a vivid sense of character and narrative. Readers won’t be able to see signage the same way again. Stephen’s new book is not only great for the “word-less” crowd, with a full-blown story; It’s designed with genius! Bravo, Mr. Savage. Keep ‘em coming! Signs at the side of the road are there simply to inform drivers and that’s all they do. Or is it? 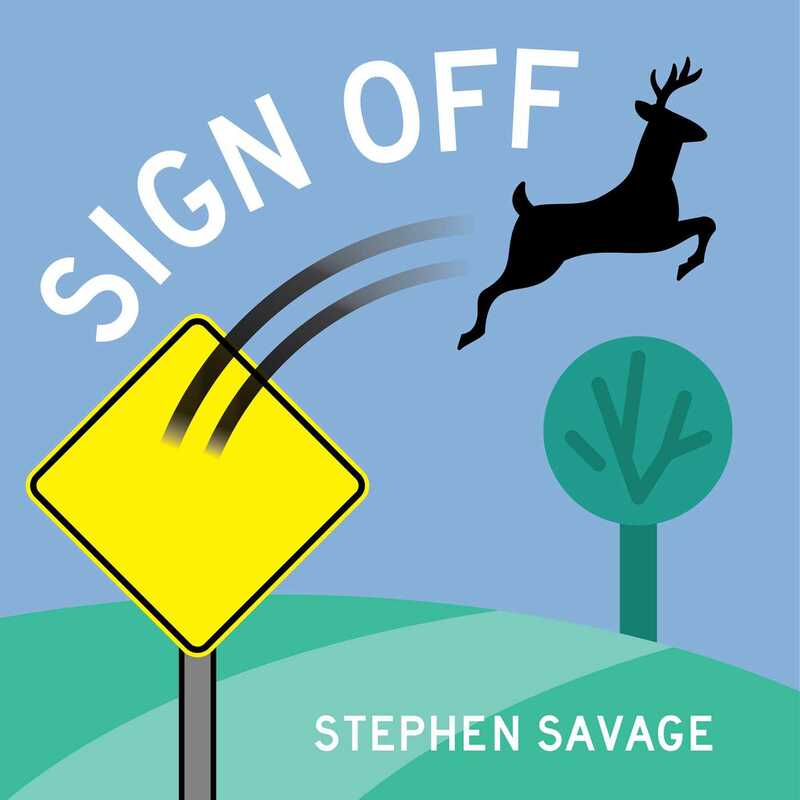 Savage’s clever, (mostly) wordless picture book divulges what goes on at night when the images on the road signs are free to come and go as they please....Savage’s signature illustrations, with their crisp, clean outlines, are spare and striking, and they clearly reveal the shenanigans that take place after dark. Subdued blue, green, brown, purple, and rose convey the nighttime hours, though the illustrations are still bright enough that the actions can be easily followed. This imaginative concept will fascinate youngsters while making them more aware of the signs around them.